The Carrie Diaries isn't ALL about Carrie Bradshaw. Pictured in this pilot scene are Brendan Dooling as Walt, Katie Findlay as Maggie, and Ellen Wong as Mouse. 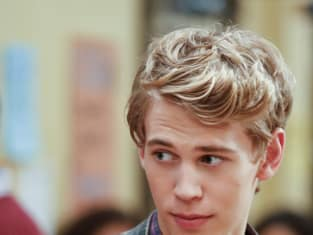 The Carrie Diaries Season 1 Episode 1: "Pilot"